Aymen Loukil is an international SEO Consultant (Search Engine Optimization). He is also an SEO Speaker in several conferences and meetups specialized in search. He has been listed among top technical SEO Experts to follow in 2017. With more than 15 years of experience in web and SEO, Aymen supports his clients (SMEs, startups, e-merchants and large accounts) in order to achieve their visibility objectives and succeed in their SEO strategies thanks to his services. With a rich technical background (computer engineer and former developer), Aymen knows how to harmonize the efforts of technical teams and creative / business teams in order to achieve the business objectives of visibility. A strong technical component in hid approach which allows to lift the brakes (lower layers) before going further on the other layers (content, netlinking, marketing, e-reputation … etc). You can contact Aymen for his SEO consultancy services or other topics (Speaker,..) using this form. 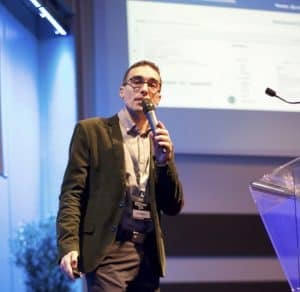 Aymen is also involved in several SEO conferences in France and abroad as SEO Speaker. He gives lectures at events such Tuni’SEO Campus, Black & White SEO France, TeknSEO and Web Performance in Geneva. It also provides training in the form of technical workshops for web professionals (developers, engineers, SEO project managers …).